co-writer: Efthimis Filippou (Dogtooth, The Killing of a Sacred Deer). A disturbing and oftentimes very funny satire-drama. The laughs derive naturally from Drakopoulos’ pitch-black performance. There’s a rhyme and reason to Makridis’ cinematic request. as-Greek- as-it- gets black comedy. 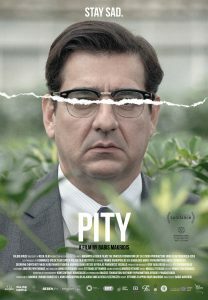 “Pity”, keeps the tone and pace austere, its stray lunges of overt gallows humor sticking like a knife between the ribs. An eye-catching central performance from comedian Yannis Drakopoulos, which combines deadpan, almost Keatonesque absurdity with spikes of utter malevolence. 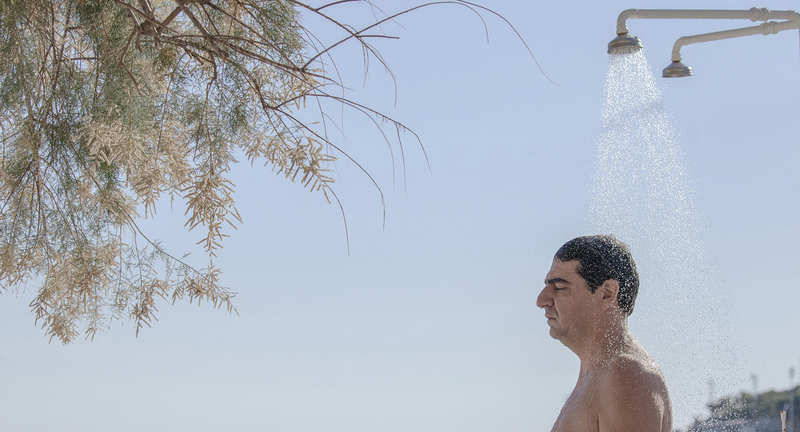 Propelled by the winningly odd deadpan performance of Yannis Drakopoulos (Chevalier), the film is an art-house natural that won’t need anyone’s pity after its Sundance premiere. 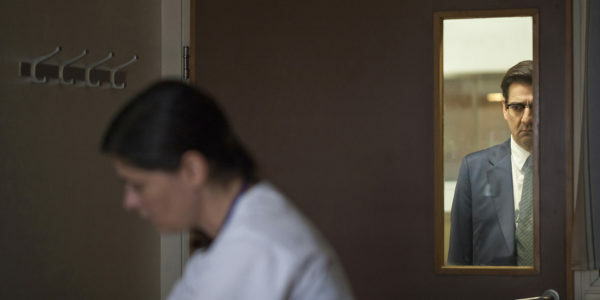 As stylized as Makridis’ second feature is, it’s grounded in recognizable behavior, and its sly, dry playfulness reverberates with fascinating questions about emotions and how we portray them. 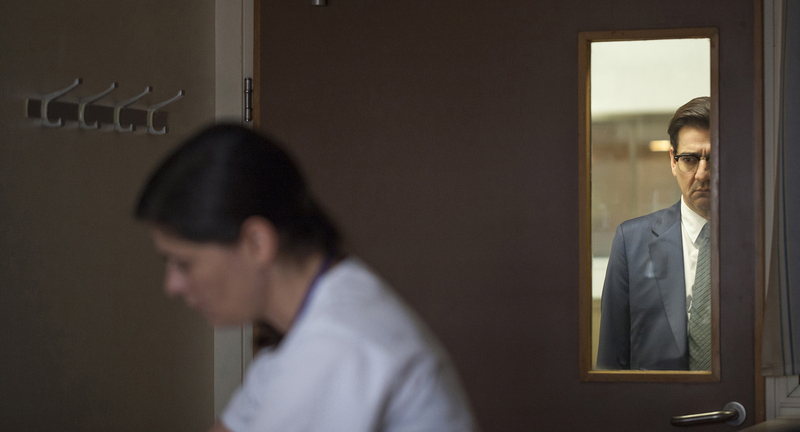 Pity deconstructs the artifice of feeling and, most wickedly, movie sentimentality. 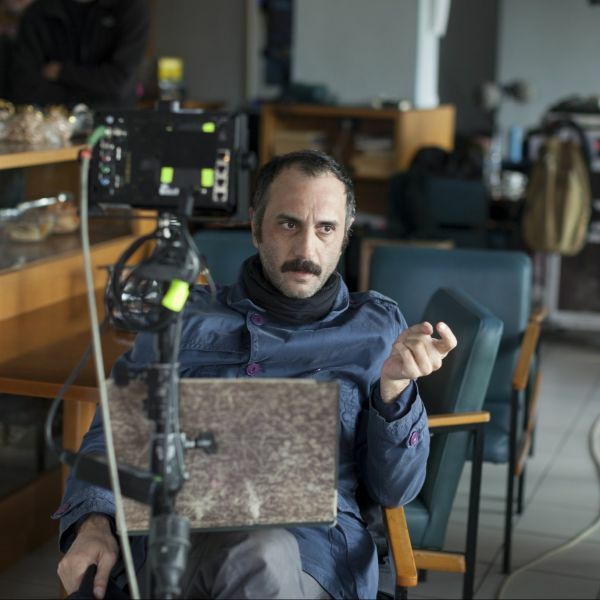 Makridis and his co-writer and friend Efthimis Filippou create a parallel universe that shares many similarities with reality, although it is much bleaker and funnier.